Investment casting has been creating near net shape products successfully in various forms for thousands of years. Although the introduction of new materials and manufacturing techniques in the last few years has led to some changes and improvements, the investment casting process steps have largely remained unchanged. (You can read about the advantages of using investment casting here). In general, investment casting or sometimes referred to as lost wax casting can be summarised into the following 8 steps. A master pattern is created from wax, clay, wood, steel or plastic by either a specialised mould maker or sculpture artists as per final product requirement. These are made considering both wax and casting material shrinkage, hence it’s called, “master pattern” for having double shrinkage allowance. Figure 1 below shows a wooden master pattern and its casting. Depending on the size, shape and material used, this process may take some trial and error to get the size and shape correct, therefore making these moulds expensive. A mould, known as the master die to create wax patterns is made to fit the master pattern by either casting or machining. Technology advancement in the tooling and CNC machining has enabled machining a master die from a material such as steel and aluminium without the need for a master pattern as shown figure 2. If the master pattern is made out of steel then master die can be cast directly from the steel master pattern using metal with a lower melting point than steel. Silicone rubber moulds are also used extensively these days due to its simplicity of using to cast a mould directly from a master pattern. Silicone rubber moulds would withstand casting temperature up to about 310oC (590oF). The patterns are then made by injecting or pouring molten wax into the master die and allowing it to harden (Figure 4). Sometimes it’s also used as a coating where inside cavity walls of the die are coated with wax to get a hollow pattern. This coating is repeated until the desired pattern thickness is reached usually about 3 mm (0.12 in). Latter suitable only for simple parts. Sometimes patterns are also made using suitable polymers and frozen mercury. Recent advances in rapid prototyping have made the production of patterns directly from a CAD file possible, either as a master pattern or as wax patterns, consequently reducing the cost. 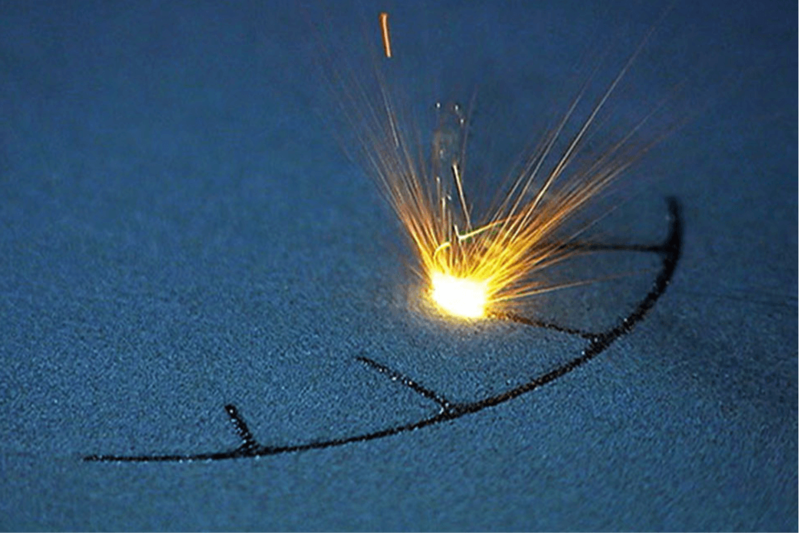 3D printing technologies such as stereolithography, selective laser sintering (SLS), fused deposition modelling (FDM) and poly jetting are increasingly used to create patterns. 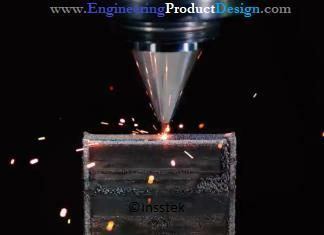 These rapid prototyping technologies use a layering technique in their creation so post-processing is required in most cases to ensure a good surface finish. Cores are generally made from soluble wax or ceramic where soluble wax cores are dissolved out of the patterns pre-processing, while the ceramic cores remain and are removed after solidification of the metal casting. In a process called “Chasing” imperfections such as parting lines and flashings are removed using a heated metal tool and release agents, such as silicone sprays are also used to assist in pattern removal and avoid any damage to the patters. The wax patterns are then assembled onto a common wax sprue. Sprue is a channel through which molten alloy can reach the mould in an investing ring after the wax has been eliminated. Sprue will hold the wax pattern to avoid distortion during the casting process, creating a channel for the molten wax to escape from the mould and then allowing the molten material to flow into the mould. The pattern is then dipped into a slurry of finely ground refractory material and then drained to create a uniform surface coating called a “Prime coat”. During this stage a very fine particle size is deposited to create a thin but very smooth layer of investment material, to ensure a smooth surface and intricate detailed final product. Very fine silica and other binders, including water, ethyl silicate, and acids are commonly used as refractory materials. After the initial layer has dried, the pattern is dipped and coated repeatedly to increase its thickness for better strength. This second stage of dipping process is called “stuccoing” in which sand or other refractory aggregate is rained over the wet surface to increase the thickness (5 to 15 mm [0.2 to 0.6 in.]) and strength. Sometimes as an alternative method, the single-dipped pattern cluster is inserted into a permeable flask upside down and liquid investment material poured around it. The flask is then vibrated to remove entrapped air and ensure that the investment material surrounds all surfaces of the mould tree. This is then left to dry completely, which can take between 16 to 48 hours. Drying can be accelerated by applying a vacuum or minimising environmental humidity. The removal of pattern wax from the mould is an important stage in the investment casting process and when performed incorrectly will reduce the batch yield. De-waxing is also one of the main reasons for shell cracking. Shell cracking is the single most common investing casting defect. Fundamentally there are two main methods for de-waxing, flash fire or autoclave (steam). Steam autoclaves are the preferred choice due to its uniform heating which would reduce the stress on the material. The mould is heated (90oC–175oC) and held in an inverted position for few hours (about 4 – 12 hours) to allow the wax to melt and run out. Pattern wax is usually recovered and recycled. Then it’s heated and maintained at an elevated temperature (650oC–1095oC) for few hours (3-6 hours), to drive off the water of crystallization and burn off any residual wax. The duration and the temperatures depend on the metal cast material. Most shell failures occur during the dewaxing stage as the waxes used have a greater thermal expansion coefficient than the refractory material. Hence wax expands more than the investment material and introduces a possible stress fracture on the mould. To reduce this effect the wax can be heated rapidly so the outer wax melts quicker and allow the remaining wax to expand without stressing the mould. Autoclaves shown in figure 8 are also used to heat reduce this effect as the heating cycles can be more uniform and controlled more accurately. Mould is then pre-heated in preparation for pouring. Preheating allows the metal to stay in the molten state longer so that it can better fill all mould details and increase dimensional accuracy. If the mould is left to cool, any cracks found can be repaired with ceramic slurry or special cement. Mould heating also gives better dimensional control because the mould and the metal can shrink together during cooling. Molten metal up to 3000oC is poured into the hollow mould and then left to cool. While gravity pouring is the simplest, other methods may be used to ensure complete filling of the mould. When complex, thin sections are involved, mould filling may be assisted by positive air pressure, tilt casting, vacuum casting or centrifugal casting process. After the metal has solidified, techniques such as mechanical chipping, hammering, vibrating, high-pressure water jetting and media blasting are used to break the mould and remove the metal casting. Then individual castings are cut away and excess metal is removed. The sprue is cut off and in most cases reused. The part is then post-processed as per the final product requirement such as post machining, heat treating, surface treatments, painting etc. Investment casting. (n.d.). The Library of Manufacturing. January 2018, from http://thelibraryofmanufacturing.com/investment_casting.html. Investment casting. (n.d.). Wikipedia. Retrieved January 2018, from https://en.wikipedia.org/wiki/Investment_casting.